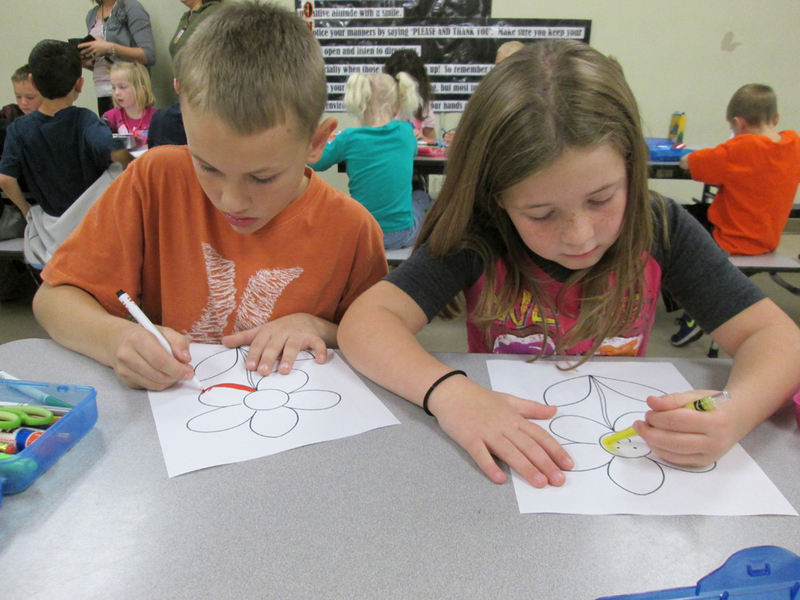 On October 16th, the students were provided more information on bullying and how to handle bullying situations. Stacey Lichtenberg, from the Fremont Crisis Center, was the presenter for each classroom. 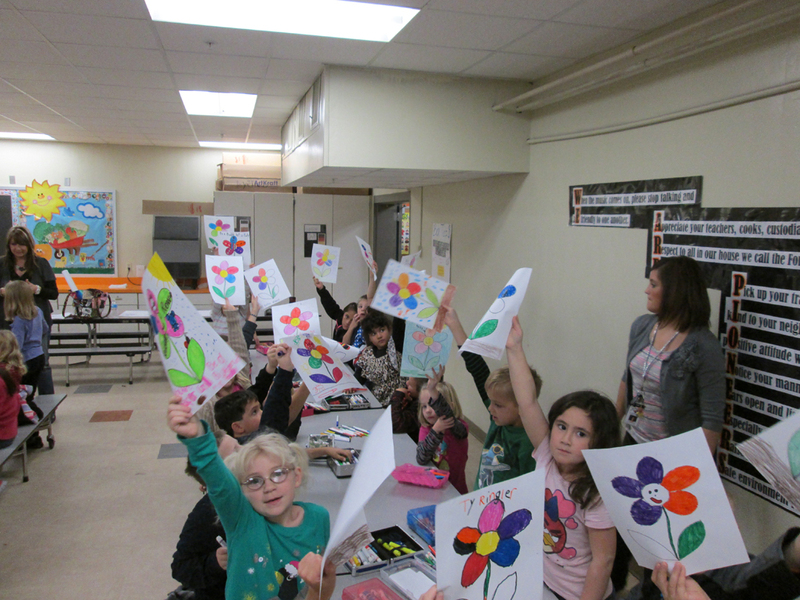 In her lessons each student had the opportunity to internalize bullying by creating an art project. The lesson involves a discussion on building a community garden, what that looks like, who participates and what would happen if one person came in and tried to ruin what the community had done to create a healthy garden. They also discussed how the school is the students community. When the students plant a garden of kindness in their community it ignites kindness. Once you water the garden of kindness such as saying nice things and being nice to each other the bullying will end. This entry was posted in Uncategorized on October 29, 2013 by Jennifer Gepson. The Football Team has qualified for the Class C-1 State Playoffs. They will play at Wahoo on Thursday Oct. 31st. Kickoff will be at 7:00 pm. A reminder, NO PASSES are accepted at State Games. Admission into the game is $7 for adults, $5 for students. If you would like a state playoff T-Shirt or Sweatshirt, you can fill out the form below and get that back to school. 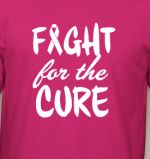 In order to have the shirts on time, you need to have your order into the school office by 4:00 pm today (Oct. 28th)or to Coach Christensen by the end of practice today (Oct. 28th). He will be sending in the orders tonight so we have the shirts by 3:00 pm on Thursday. For more info, please see attached. This entry was posted in Uncategorized on October 28, 2013 by Nick Wemhoff. 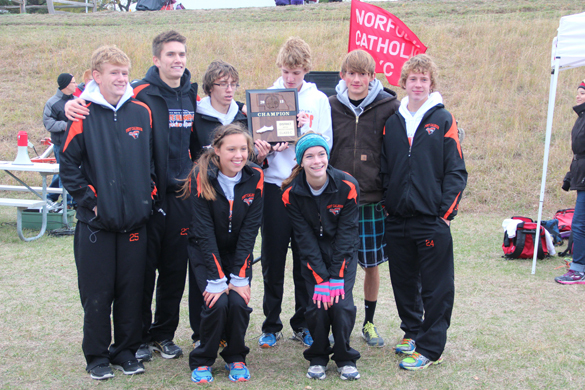 The Pioneers had 8 athletes competing at the state meet this past Thursday at Kearney. Results for the girls, Ellie Shaffer 26th and Abby Hillmer 31st. Results for the boys, Ben Everswick 9th, Adam Robinson 13th, Alex Tietz 33rd, Peyton Griesert 65th, Sean Ramey 80th, Steven Determan 93rd. The boys finished 3rd place as a team. Great Job Cross Country Teams!!! Recently, we surveyed nearly half the freshman class. Although the majority claim the stereotype about freshman year being “scary” is untrue, they had mixed opinions on their freshman years. Nearly everyone claimed that the iPads have had a huge positive impact about joining High School, along with better sports. However, others weren’t too positive about some of their new teachers and classes. Overall, this year’s freshmen will be expecting a great year! This entry was posted in Uncategorized on October 27, 2013 by Jennifer Gepson. 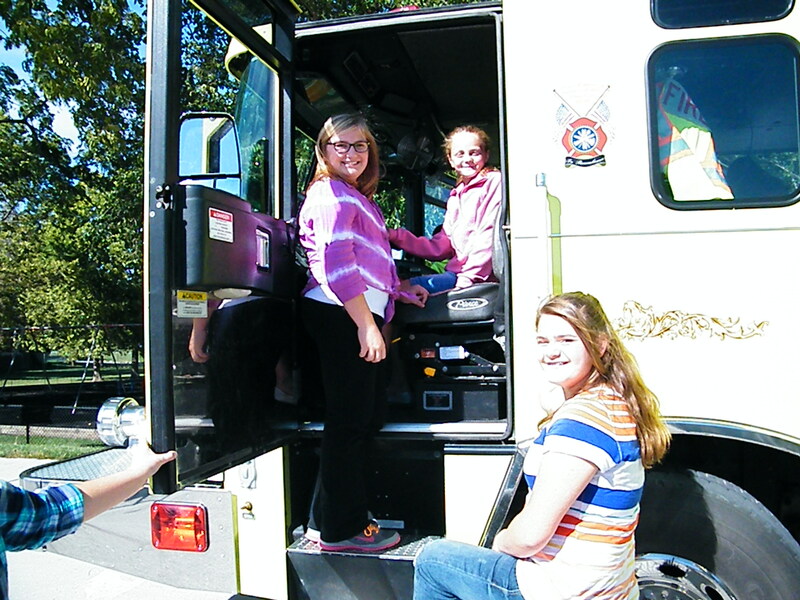 The students at Fort Calhoun Elementary School participated in Fire Prevention Week by visiting with Volunteers from Fort Calhoun’s Volunteer Fire department. Students heard the importance of trying to prevent kitchen fires and talking to parents about fire safety from Assistant Chief Al Ertzner. 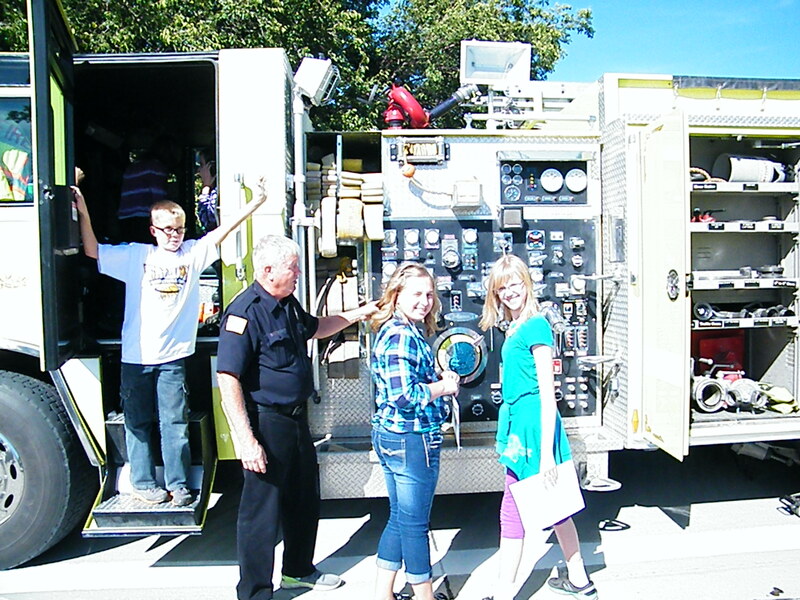 Then, they were able to explore a fire truck and an ambulance with volunteers Don Casey, Dave Nuemann and Melissa Biodrowski. This entry was posted in Uncategorized on October 21, 2013 by Jennifer Gepson. The public is invited to the program. 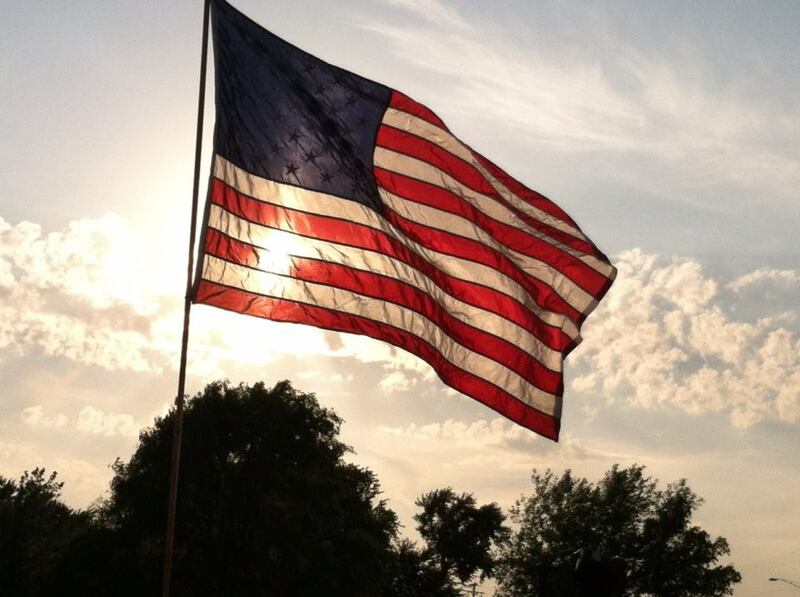 Veterans and a guest are invited to a luncheon following the program. RSVP for lunch to 402-468-5591. This entry was posted in Uncategorized on October 15, 2013 by Jennifer Gepson. Congratulations to our Cross Country State finalist. 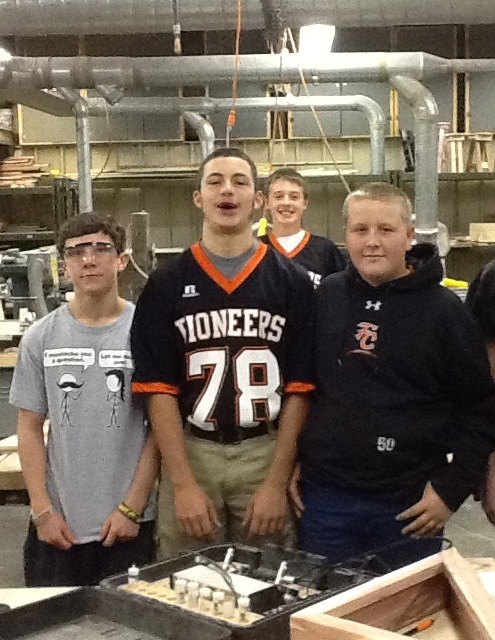 The Boy’s Team with Alex Tietz, Ben Everswick, Adam Robinson, Sean Ramey, Peyton Griesert, and Steven Determan. From the Girl’s Team, Abby Hillmer and Ellie Shaffer. The State Meet is Friday Oct. 25th in Kearney. Good Luck to all our runners. This entry was posted in Uncategorized on October 13, 2013 by Jennifer Gepson. 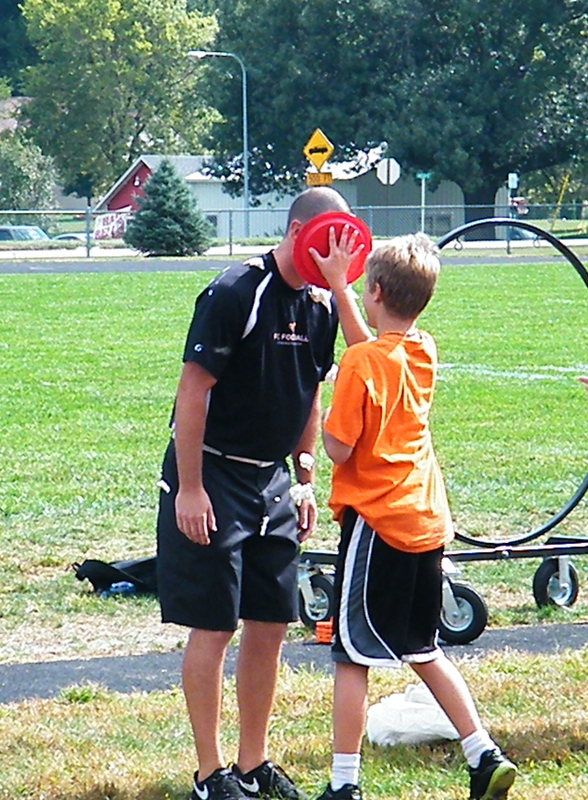 Coach Christensen gets a pie in the face for a good cause. 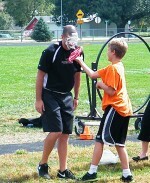 FBLA sponsored a Pie in the Face Contest during Homecoming week to raise money for the March of Dimes. Throughout the week students put money into teacher’s containers and also bought tickets for the opportunity to be the person to give the teacher the pie. 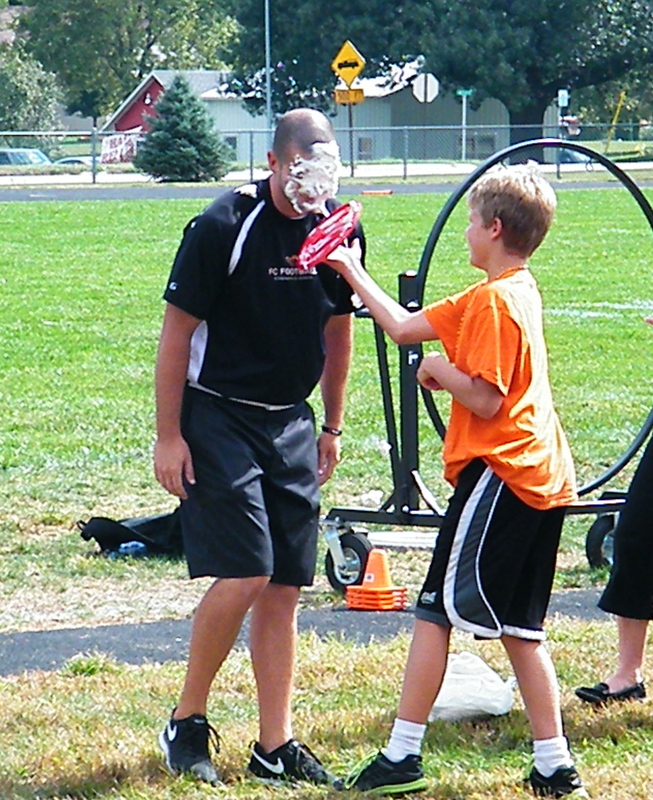 The teacher who raised the most money was Mr. Christensen and the student picked to give the pie was Riley Mitchell. Thank you to the teachers who participated and the students who donated money. Fifty dollars will be donated towards the March of Dimes. This entry was posted in Uncategorized on October 2, 2013 by Jennifer Gepson. 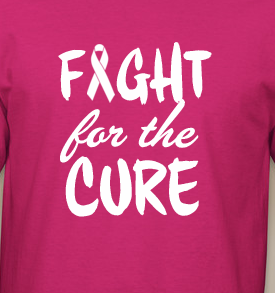 October is Breast Cancer Awareness Month so FBLA is selling pink t-shirts to raise money for the cure. If you are interested in purchasing a t-shirt or have questions, please contact Gina Kotas, FBLA Sponsor at gkotas@ftcpioneers.org for an order form. All proceeds will go towards breast cancer awareness. Congratulations to our Softball Team. They went 2-1 to receive runner up honors for the 2nd year in a row. They defeated Syracuse 2-1 and Raymond Central 8-4 in 8 innings. They were defeated by Wahoo 6-8. The Pioneers’ record is now 13-7. We have a home game tonight vs Johnson County, a home game on Thursday vs Ashland-Greenwood and a triangular at home on Saturday vs Wisner-Pilger and West Point-Beemer. 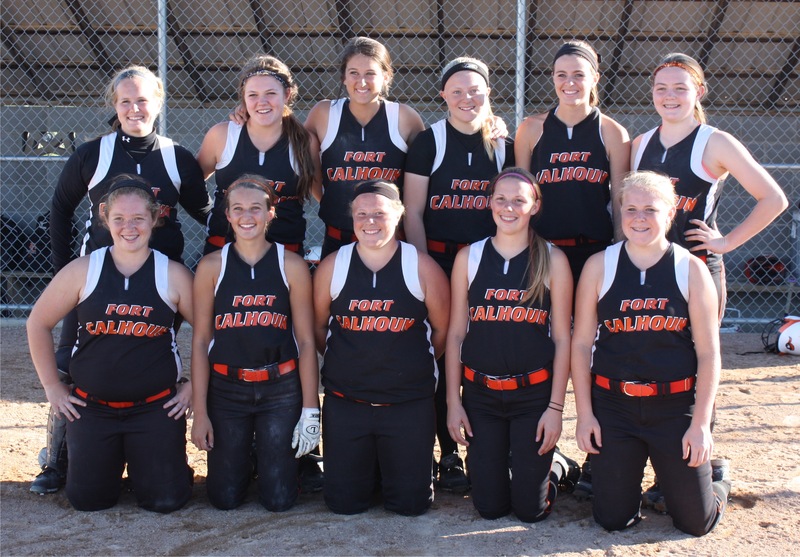 Above is Fort Calhoun’s team picture from the Capitol Conference Tournament on Saturday, September 28th in Arlington. This entry was posted in Uncategorized on October 1, 2013 by Jennifer Gepson.